This is a late post but still a good read! Last June we had the pleasure of taking Dean Forbe's grade 4 class to visit the organic garden and do some harvesting with them! We took the class through the garden and taught them some of the basics. 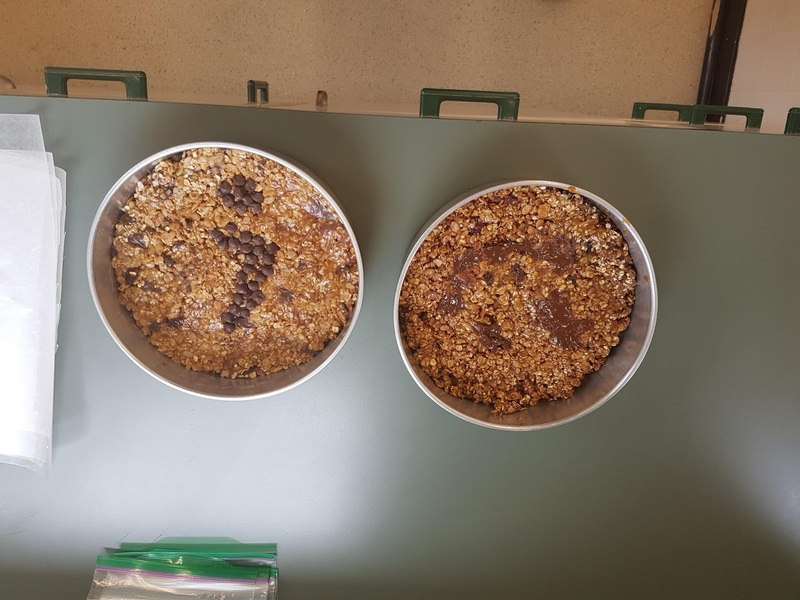 We then took the kids, as well as their harvest, to one of the food labs on the University of Guelph campus to make some fun recipes to take home to their families! The first activity we did with the class was go to the garlic fields and pick some scapes! We taught the class the importance of harvesting these scapes. We taught them that trimming the scapes help the garlic cloves keep their shape and grow better. the class was very enthusiastic in the process, picking, and even some more adventurous the taste! We also took the kids to the strawberry bushes and let them pick (and eat) as many as the could! We couldn't believe how much the children were involved and the questions they had. Leaving the garden the class was excited beyond belief to make some food with the produce they had just picked! In the kitchen we made a strawberry-rhubarb chutney to put on ice-cream as well as a organic honey and chocolate oatmeal bar! With the volunteers we had we found the cooking process a breeze and the kids once again enthusiastic as ever. Her is a picture from Dave's group where they bonded over hockey and decided to decorate some of their oatmeal bars. Dean Forbes has agreed to bring the new 4th grade class to participate in an event with the Garden2Table team later this October and we are ore than excited to see what fun we get up to this time around! P.S. Don't worry, we'll be sharing all the details on the Blog! !